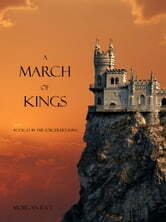 A MARCH OF KINGS is Book #2 in the Bestselling series THE SORCERER'S RING, following A QUEST OF HEROES (BOOK #1). NOTE: In response to reader requests, the book has now been professionally edited and copyedited, and this file version has all the typographical and grammatical errors corrected. A real page turner. Kept me coming back for more. This series has me hooked. It seems as though I can never stop reading. So much suspense, great mythical creatures and most of all a thrilling plot. I have already purchased the third book and I'm eagerly awaiting to start reading it! I recommend this sequel as it does justice to the first book! On to book three! 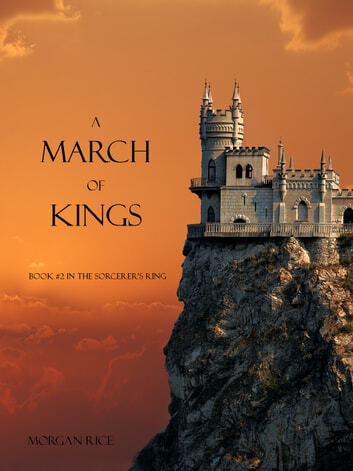 The second book in The Sorcerer's Ring series did not dissappoint. It draws you further into the story with every page, leaving the reader on edge wanting to know what will happen next I can' t wait to see what is in store for Thor and the rest of the Legion as this epic adventure continues. Pretty interesting story, Got me hooked! Can't wait for what happens next to our hero! Morgan Rice is an amazing author.